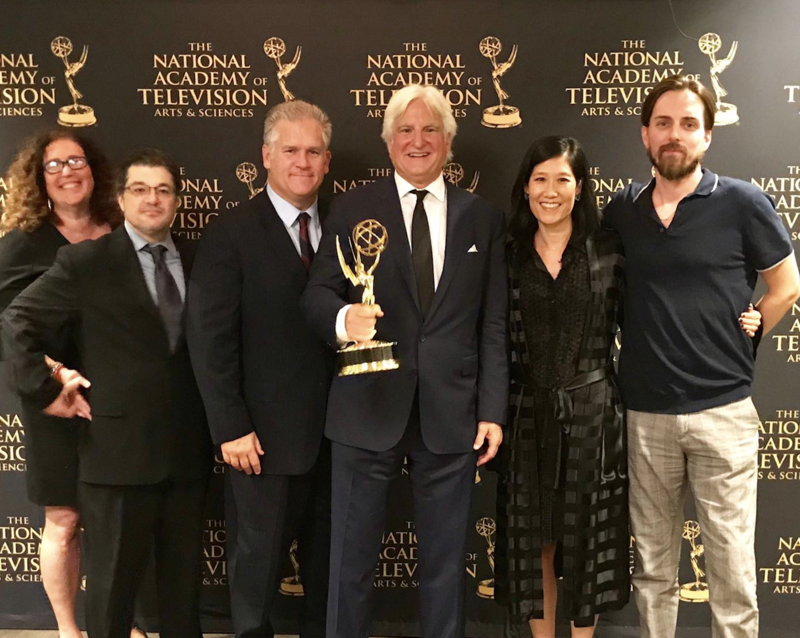 We are thrilled to share Academy Award®-nominated Abacus: Small Enough to Jail won the Emmy for Outstanding Business and Economic Documentary at last night's 39th Annual News & Documentary Emmy Awards. In his speech, producer Mark Mitten said: "I want to share this with our subjects, who are the real heroes: the Sung family. The Sung family fought back against an overzealous prosecutor to protect their community, reputation and bank. And as filmmakers we got to see firsthand the inspiration that they provided to that community and being able to fight back against social injustice. One last reminder: it's 10 years since the 2008 financial crisis. Abacus remains the only US bank that was indicted for mortgage fraud." Nominated for a 2018 Academy Award for Best Documentary Feature, the Abacus has earned a Peabody Award nomination, three Critics' Choice Documentary Awards nominations –– winning Best Documentary – as well as a nomination for Steve James by the Directors Guild of America for Outstanding Directing. The film also earned the Audience Award for Best Documentary at the Sarasota Film Festival and Best Editing: Feature Length Documentary at the Ashland Independent Film Festival. Abacus' win marks the sixth Emmy win in Kartemquin's history. in 2016, Kartemquin films The Homestretch and Life Itself won the Emmy Award for Outstanding Business and Economic Reporting – Long Form and the Emmy for Outstanding Editing: Documentary and Long Form, respectively. In 2013 Kartemquin film The Interrupters won the Emmy for Outstanding Informational Programming - Long-form. In 1998, Kartemquin film Vietnam, Long Time Coming won the Emmy for Best Documentary. Our films In the Family and Higher Goals.